How to Install Outdoor LED Advertising Billboard? Outdoor LED billboards have the advantages of good stability, low consumption, wide radiation range, etc., and are used in outdoor information spread, which is the most suitable product. Basically, common LED displays have advertising screens, text screens, graphic screens, etc., which are also the first choice for urban life and brightness. Then, when building such a high quality LED advertisement in outdoors, what details should be paid attention to? We believe that these contents are the topics that everyone is most concerned about, especially for some technical construction personnel, knowing that outdoor construction and maintenance of advertising screens will promote business advertising, information spreading. Specifically, the outdoor billboard LED electronic display is installed with four steps: field survey, equipment construction, installation and commissioning. This refers to the outdoor LED display before installation, should be based on the specific environment, topography, radiation range, brightness acceptance and other parameters for unified testing, in order to ensure the successful installation of billboards, must be directed to the command personnel conduct uniform lifting program training before lifting installation to ensure that the equipment can be used normally and stably. 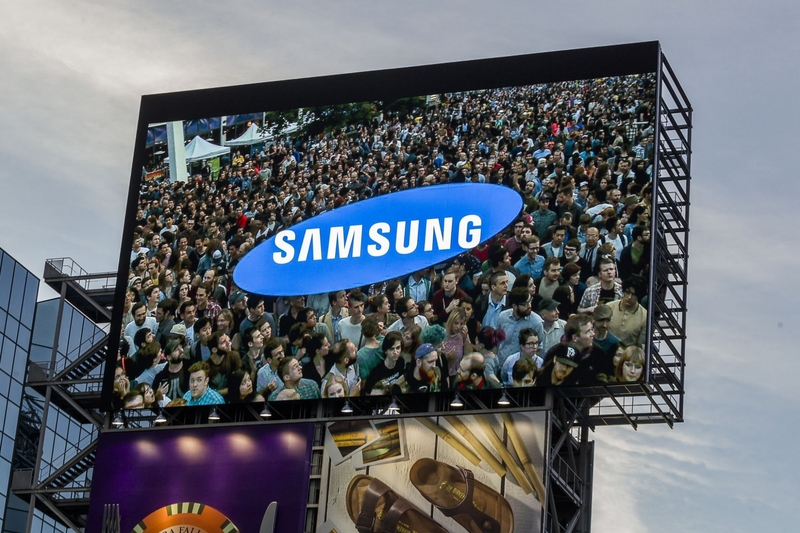 When building outdoor LED billboards, it is necessary to distinguish between wall advertising screens, hanging advertising screens and roof-type advertising screens. In actual installation, it should be segmented and hoisted by crane and windlass according to the height of the distance, and at the same time ensure that the person on the top of the building cooperate with each other, and there is a better installation and use process for the LED advertising screen for aerial work. Next, it is necessary to carry out specific radiation range detection. Due to the different radiation ranges, the LED display screens have different viewing angles. The outdoor LED display installation work should be carried out according to the field acceptance ability and the normal viewing angle range to ensure that each angle be able to see normal, brightness-balanced images and subtitle information with far away. Subsequent testing, including numerous ranges, such as LED display waterproofing, heat sink layer, LED indicating waterproof coating, rain cover on the LED display screen, heat dissipation on both sides, power supply lines, etc., these basic parts and components constitute the entire stability good graphic LED display, post-technical maintenance, it is necessary to carry out unified management and maintenance of these components. When the product is rusted, unstable or damaged, it needs to be replaced in time to ensure the safe use of the entire LED display. In general, outdoor LED billboards use high-tech backplane heat dissipation, and dot matrix light source for unified management, which is more conducive to the use of LED display screens. These basic outdoor LED advertising screen installation steps are once again explained in the LED display installation are the important steps, mastering these will allow us to use the LED advertising display more smoothly and quickly, and to play its excellent characteristics of information spreading.